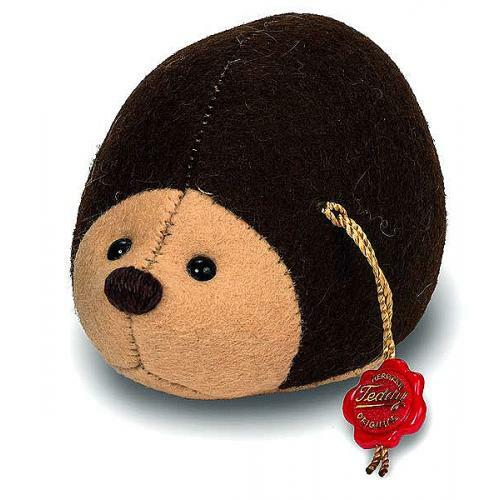 Teddy Hermann Pin cushion Hedgehog. 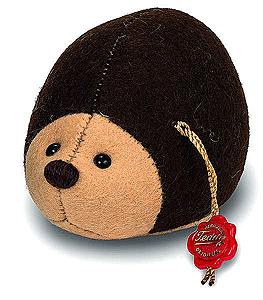 This wonderful item by Hermann Teddy Original, is made of the finest brown and beige Felt. Product details: Item number 170488, safety eyes, synthetic filling material, non growler, Surface washable only, size 10cm (4 inches).